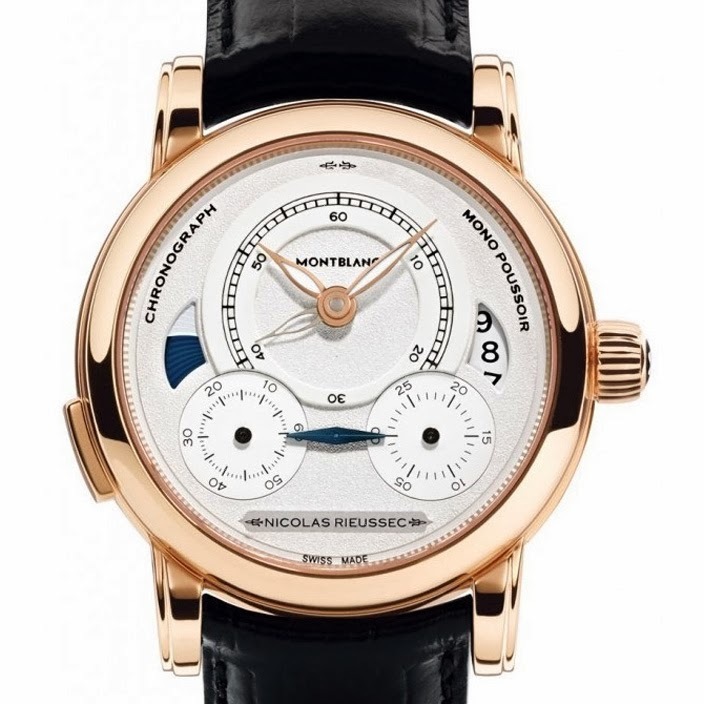 Another SIHH 2014 novelty from Montblanc that has caught our attention is the new Homage to Nicolas Rieussec Chronograph, a particular monopusher chronograph with indication of a second time zone. The grainé textured dial features a main subdial for hours, minutes and the second time zone. The enamelled circle displays a black minute track apparently without hour numerals. In fact, they are invisible in the light but, in the dark, the Super-LumiNova-coated Arabic numerals appear on the hour circle. The hour and minute hands are also coated in Super-LumiNova. The time in a second time zone is indicated by the skeletonized hour-hand together with the day/night indicator at 9 o’clock. At 3'clock we find the date aperture. The chronograph functions are controlled using the rectangular push piece at 8 o'clock. 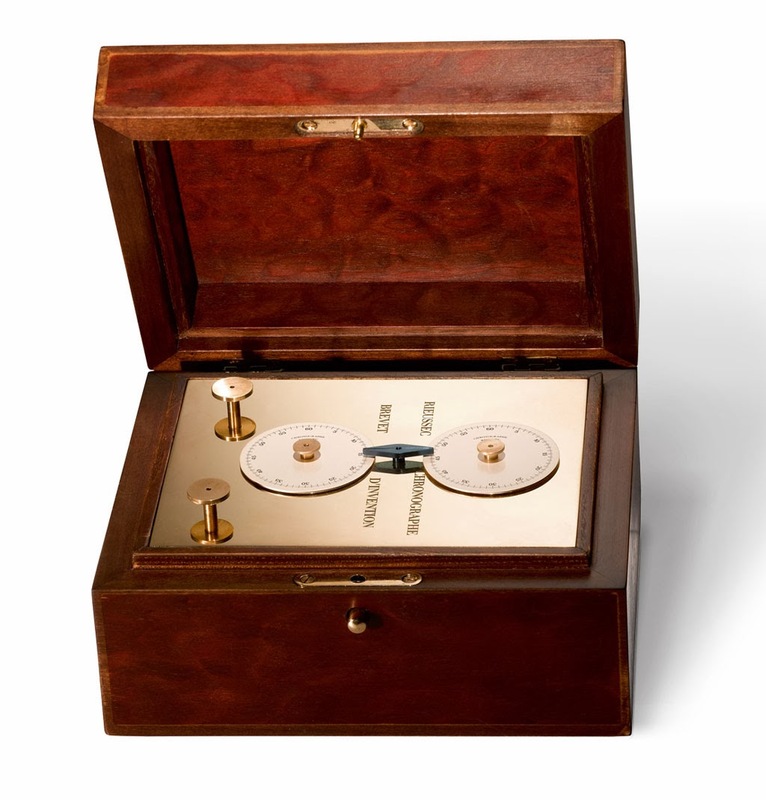 The elapsed time is shown on two enamelled rotating discs, one indicating the chronograph seconds at 8 o’clock and the other indicating the minutes at 4 o'clock, sharing a static double index in blued steel. 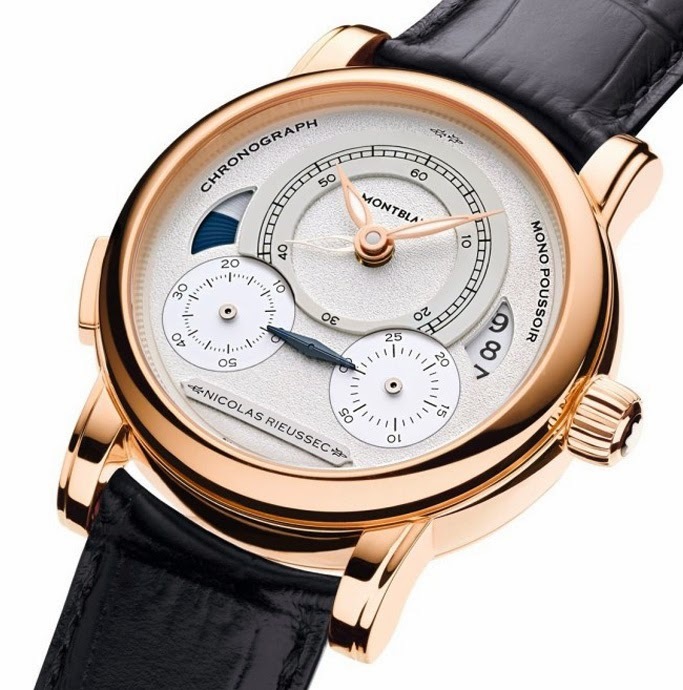 This watch was inspired by the “Chronograph with Seconds Indicator” presented in 1821 by the French watchmaker Nicolas Rieussec to which Montblanc pays homage with its new timepiece. The movement, visible through the sapphire crystal caseback, is the automatic Montblanc Calibre MB R200. 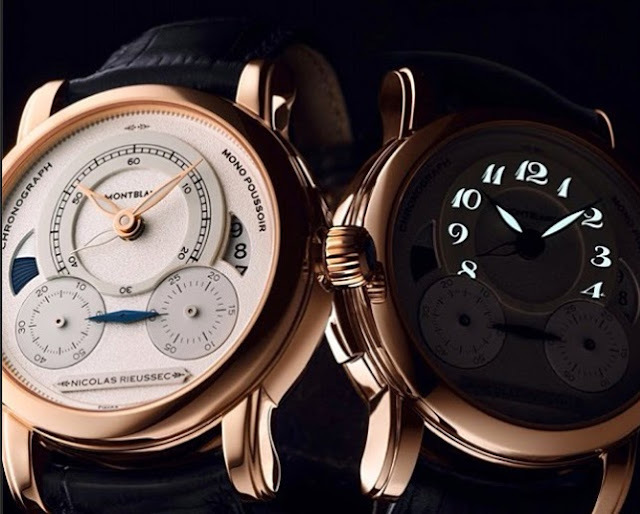 The Montblanc Homage to Nicolas Rieussec Chronograph will be available in two limited editions: 193 pieces in rose gold and 565 pieces in steel. 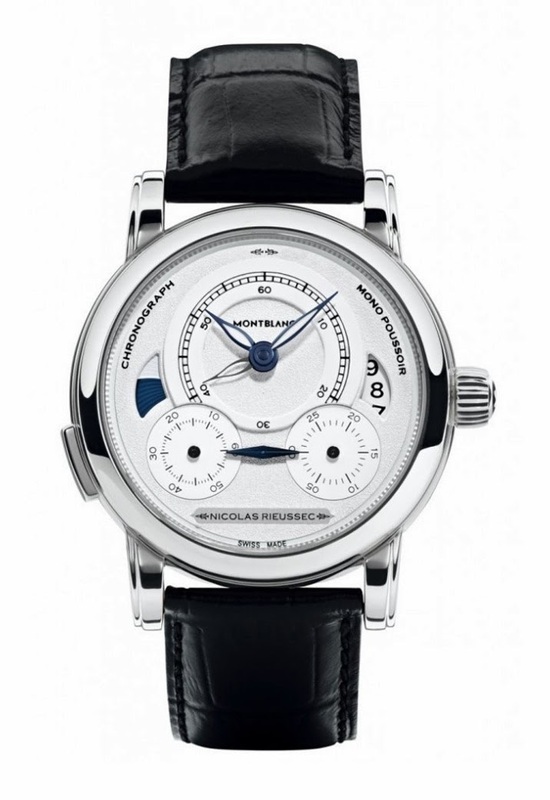 Another 2014 novelty from Montblanc that caught our attention is the new Homage to Nicolas Rieussec Chronograph, a monopusher chronograph with indication of a second time zone. This watch was inspired by the “Chronograph with Seconds Indicator” presented in 1821 by the French watchmaker Nicolas Rieussec to which Montblanc pays homage with its new timepiece.